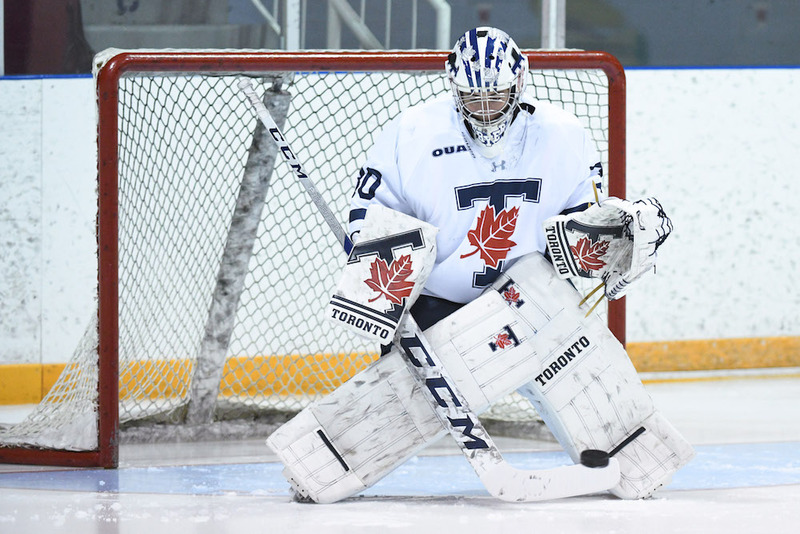 Erica Fryer of the Toronto Varsity Blues women’s hockey squad is the Female Athlete of the Month for January 2019. Goaltender Fryer had a magnificent month between the pipes for the Toronto Varsity Blues. The Amherstburg, Ont., native went undefeated at 8-0 with a 0.86 goals-against average and .956 save percentage in January. During this span, she allowed more than one goal just once, which has helped improve her overall GAA to 1.52 – good for third in the OUA among netminders with at least 10 starts. As Fryer went, so did the Varsity Blues last month, as the rookie backstop helped catapult the team into the upper class of the OUA this season. Fryer and the Blues didn’t lose a game all month long, reeling off eight straight wins and outscoring their opponents by a 19-7 margin. Perhaps her biggest performance came in just the second game back from the break, when she led the Blues to a 3-2 win over the then No.9-nationally ranked Western Mustangs and earned herself OUA Athlete of the Week honours in the process.